"TO HELP MAKE THE WORLD A BETTER PLACE BY GETTING MACS IN THE HANDS OF THOSE IN NEED." 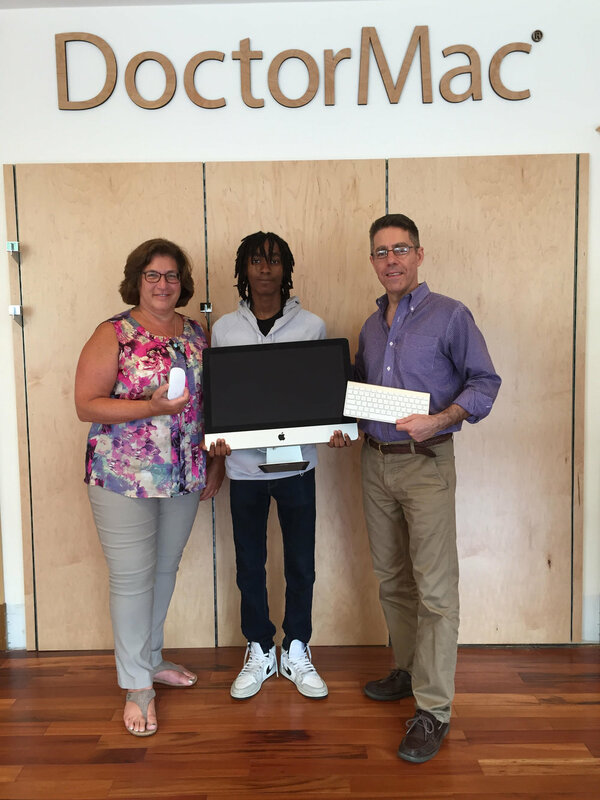 We bring Apple computers to individuals, families and organizations in our local communities that can't afford them. DoctorMac worked hard from day one when our store was new and money was very tight to put some of our hard earned funds and our time into fixing donated computers in order to pass them along and make a difference in someones life. There are many children in our local communities that do not have a computer at home. Some of these children may never go to college or even graduate from high school. Can you imagine in this day and age not having a computer and access to everything it provides? Every computer you buy from DoctorMac, every time you come in for service, you will be helping us make a difference in peoples lives. As DoctorMac grows so does our mission which is at the heart of everything we do. We not only plan on giving Apple computers away with your help, but as we and our resources grow, we plan on training children with the technology skills they will need for a brighter future which will completely turn their lives around. **Please fill out donation form at the bottom of the page to start the donation process. SVC is a community of the world’s leading social entrepreneurs working together to create transformational innovation, growth and impact. Fill out the form below and let DoctorMac take care of the rest.